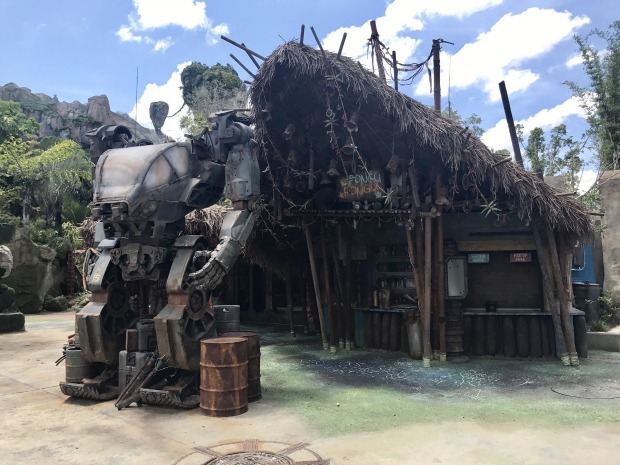 The record-breaking, box-office hit film Avatar has come to life soon inside Disney's Animal Kingdom at the Walt Disney World Resort. Pandora - The World of Avatar is a creative collaboration of Walt Disney Imagineering, James Cameron, and Cameron’s Lightstorm Entertainment. This new land welcomes guests to the lush world of Pandora long after the human conflict with the Na’vi has ended. The vivid daytime beauty of the land transforms to glow by night when bioluminescent flora and intricate nighttime experiences add a dreamlike quality to Pandora. There are currently four sequels to the film being planned, so Pandora will only have more opportunities to grow as more characters and stories are developed. The Satu’li Canteen (pronounced “Sa-too-lee”) is a quick service location that offers a surprising twist on familiar flavors for breakfast, lunch, and dinner. The menu was inspired by the healthful bounty on Pandora, with wholesome grains, fresh vegetables and hearty proteins. The restaurant is themed as the Alpha Centauri Expeditions canteen. Travelers come to Satu'li Canteen to find the familiar foods and luxuries of their home. Menu items include items such as a chopped wood-grilled chicken bowl, chili-spiced crispy fried tofu bowl, cheeseburger steamed pod, and much more. The restaurant's design was inspired by bases set up on Pandora by the RDA in the blockbuster “AVATAR” film. Once the main mess hall of the RDA base in the Valley of Mo’ara, the canteen is now owned and operated by the Alpha Centauri Expeditions (ACE) tour company and has been redesigned into a beautiful museum-like dining room open for breakfast, lunch and dinner. The interior has been transformed with colorful Na’vi items filling the walls and hanging from the ceiling – hand-woven tapestries, natural Pandoran elements and cooking tools decorate the interior. Take a look as Craig and Ryno from the DIS Unplugged team along with a special guest try out the new Mobile Order at Satu'li Canteen! Pongu Pongu is Pandora’s specialty beverage kiosk. “Pongu Pongu” means “party party” and this kiosk, as the story goes, was built by a human who befriended the local Na’vi clan and built a place to gather and socialize. The name came from all the “wild and memorable times” Na’vi and humans had together there. The kiosk offers “bioluminescent" frozen cocktails such as their signature drink; Frozen Nectar (frozen limeade with layered flavors of Granny Smith Apple and Desert Pear topped with bursting mango boba balls) that glows with bioluminescent colors reminiscent of Pandora’s flora. There’s also a Screaming Banshee Margarita and Avatar Private Label Ale. For sweet snacking, Lumpia (loom-pee-ah), a pineapple-cream cheese spring roll, is also on the menu. Windtraders is a shopper’s delight where guests can choose from Na’vi cultural items, toys, science kits and more. 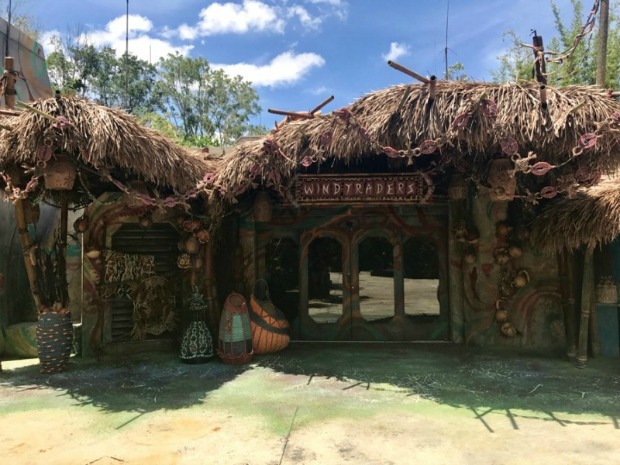 Guests will also find all sorts of apparel, accessories, a build-your-own Windtrader necklace station, and even a way to connect with your very own banshee at The Rookery inside Windtraders.